﻿ Ningo Well in Tibeau on Carriacou, the oldest man made well of the island. Ningo Well in Tibeau on Carriacou, the oldest man made well of the island. A large man made well, currently in the process of cleaning and restauration of the environment. 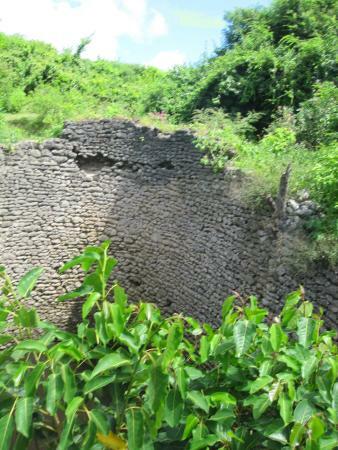 Ningo well is the oldest on Carriacou. Guides » The Ningo Well. 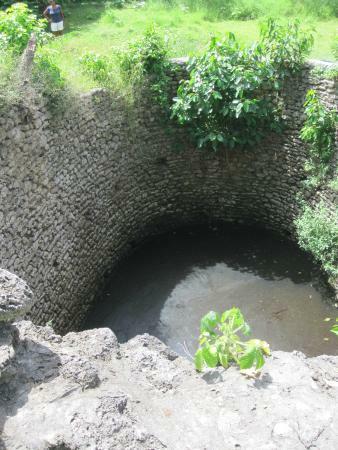 In Tibeau is the Ningo Well. See this location on the interactive map of Carriacou. The old Well in Tibeau. In Jews Bay, just above the archeological findings at the fossil beds in Grand Bay. One of the earliest wells built on the island, and located in the village of Tibeau. It had been neglected for quite some time. Now the government is organising a thorough cleanup plus enhancement of the zone. A deep well made long ago. 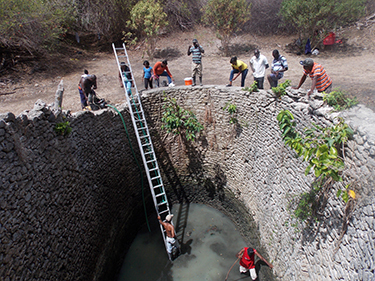 The Ningo well getting cleaned. Sites for archeology on Carriacou. 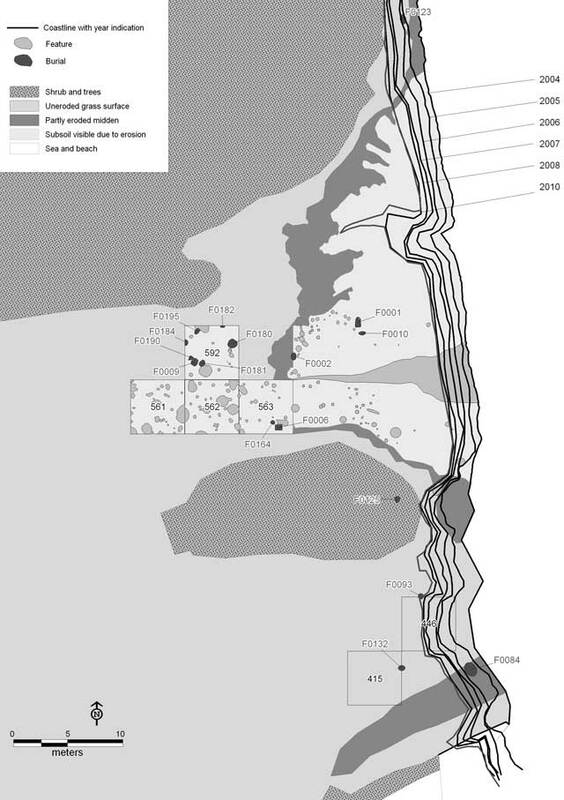 The map below shows the zone south of the well, this is where the fossil beds are. At the shore close to this well is the Tibeau cemetery. This burial ground has collapsed in the ocean with very few graves remaining. Gravesite on Carriacou at the beach of Tibeau. Tibeau grave site disappearing in the ocean. Tibeau cemetery falling in the ocean. Another interesting place are the ruins in the south, at Sabazan. Check the historical site at Dumfries as well. Another place of historical interest is the Belair zone, where ruins of the oldest plantation house can be found. Tibeau Cemetery at the east coast of Carriacou. at 0.38 km. Ruins of an old estate house and windmill in Tibeau. at 0.52 km. Jew Bay on the windward side of Carriacou. at 0.55 km. Tarleton Point Windward Carriacou. at 0.89 km. Point Saint Hilaire on Carriacou. at 0.89 km. Previous: History of the Caribs – Garifuna -Black Caribs. Next: Carriacou tourism, visiting the isle of reefs.